ns-bmi.execulink.com, and ns.execulink.com are its DNS Nameservers. 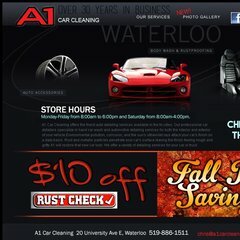 A1carcleaning.com's IP address is 216.251.32.92. It is hosted by Internetnamesforbusiness.com Florida, using Apache/2 web server.